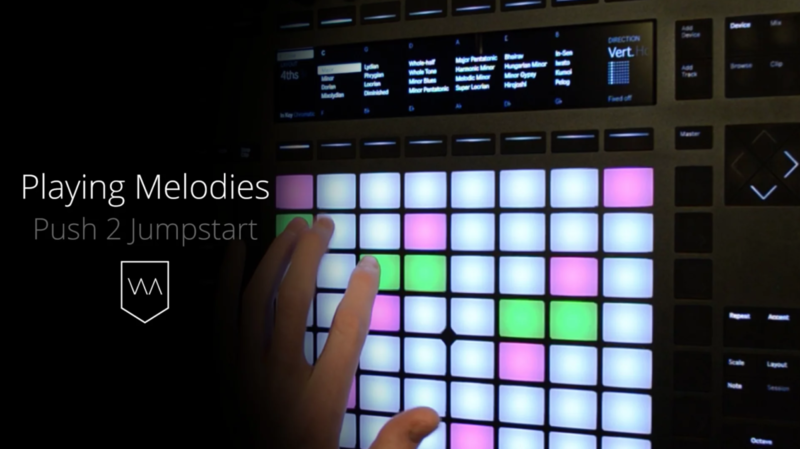 Become proficient in sequencing beats, building chords, and writing melodies on Push 2. Brian's hands-on approach will have you making music fast with your Push. Who you learn from matters. Brian Funk, aka AfroDJMac, is a multi-instrumentalist, singer/songwriter and Ableton Certified Trainer from New York. 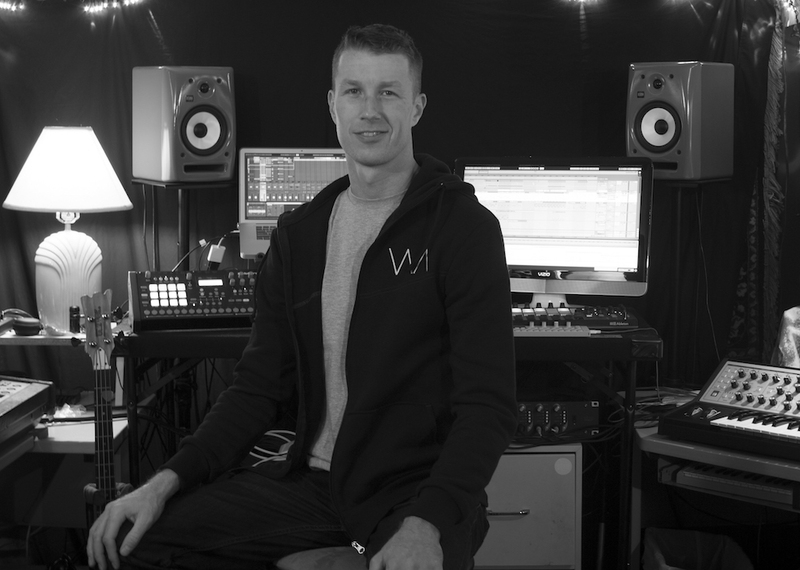 As a guitarist and songwriter, he found Ableton Live to be the ultimate tool to unlock his creativity and bring his studio creations to the stage. A curious sound designer, Brian regularly releases free Ableton Live devices that challenge conventional sound-design-thinking, via his website and YouTube channel. His series of Two Minute Ableton Live Tips earned him the title of true “a legend in the Ableton Community”. You get 52 HD video episodes that’ll take you from a beginner to a capable & confident user of Push in just 2 hours. 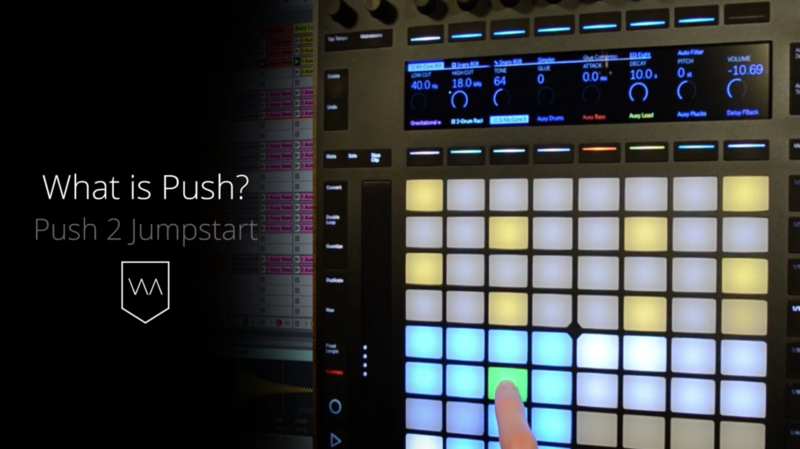 You get a comprehensive look at the ultimate way to integrate Push 2 and Live. Computers can help you create rich and diverse sounds, but it’s an instrument that can truly help to you to capture your inspiration. 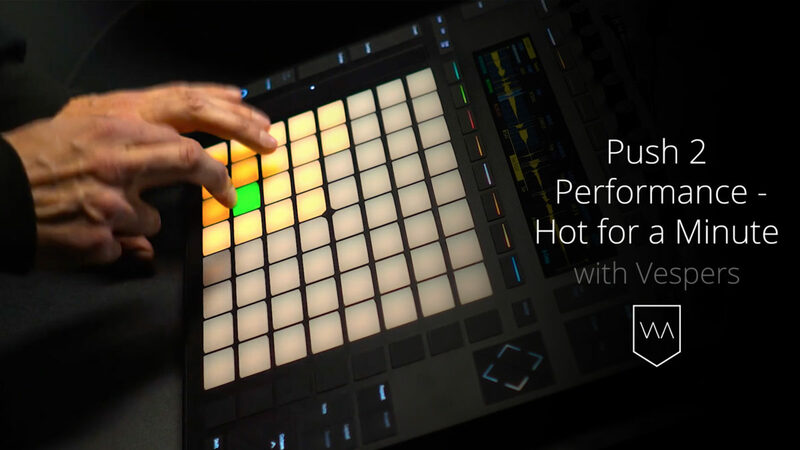 Push lets you make music in one place, right at your fingertips. Free Preview Video: What is Push? "Like a lot of others I’m sure, I don’t get to do music full time, so these videos fit right in whenever I have a chunk of spare time. A few minutes here and there, and I get a quick infusion of knowledge. When I have more time, I actually sit at my Push and really follow along, just to make sure I’ve caught all the nuances of the device (and there are many!) I appreciate the concise and easy-to-follow nature of the videos and Brian’s presentation style, as they fit into my busy life quite well. Brian speaks at a medium pace and very clearly as well, so it’s not frustrating that he talks too slow or fast, or mumbles, etc. It’s all very clear and high quality. "Many things are already said in the review of Jonathan. I just want to add that I agree with most of it and that this course is indeed done very well. I can really recommend it. Also, I am subscribed to two other (payed) streaming websites with courses of Ableton Push but the course on Warp Academy is clearly much better. The pace is perfect and it is really good to follow. I also like the red boxes on the screen whenever a button is pressed which makes it very easy to follow." "This course is definitely worth checking out. The attention to detail Brian puts in the modules is fanastic. It would take hours if not days to sift through and be able to find the little tips and tricks searching on Youtube. This course covers the very basics and goes all the way into advanced techniques for you to navigate all of Push 2. 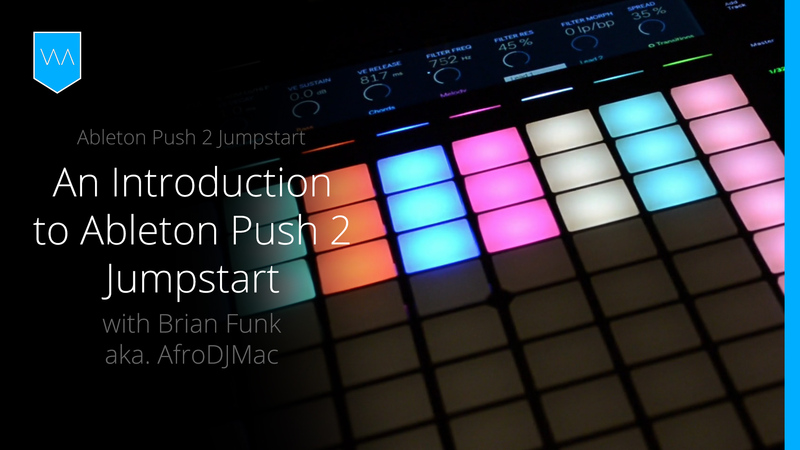 If you want to understand Push 2 within a few hours then this is the course for you." All skill levels are welcome. You do not need any previous experience with Push to take this course. Come one, call all! At the same time, if you’ve been poking around with your Push for some time, this course will help fill in all the gaps in your understanding of how to use it. What if I don’t have a Push 2? 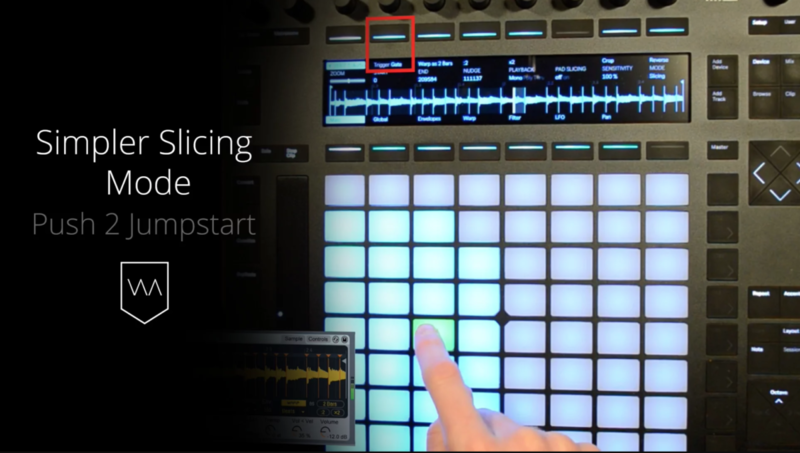 This course was designed for you to follow the videos lessons using your Push 2. If you don’t have a Push, you can still take the course. But it will kinda be like showing up to batting practice without your bat. What if I have the original Push? While this is a course specifically focused on Push 2, most of the curriculum and techniques are still applicable to first version of Push. What version of Live 9 and Push does this course cover? This course covers topics and features up to Live 9.6. How long can I access the course videos? You have lifetime access to the course videos. In a word – yes. This course is designed to demonstrate how to use the Push, and that is applicable to any and all genres of music making. Are there any system or hardware requirements? Yes. To get the most out of this course, we recommend following along with the videos while using your Push 2 (or Push 1), and a computer with access to high speed internet. Minimum requirements are obviously the ability to run Ableton Live, so any computer with Mac OS 10.5 & Windows XP or newer should do just fine. Even if you have a Push 1 most concepts are still applicable.